The Empire Check Blouse is the ultimate, easy-to-wear-anywhere style. Designed with a relaxed, off d..
A relaxed fit, pretty floral print and lightweight feel make the Aubine Crinkle Shirt a versatile ev..
Give cooler weather the cold shoulder in time for spring and summer with the Classic Crepe top. It i..
description High neck knitted jumper Fabric: soft, warm, cosy Loose fit High neck .. 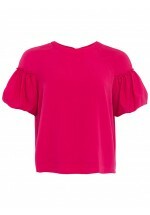 Inject a touch of statement volume into your look with this top from French Connection. 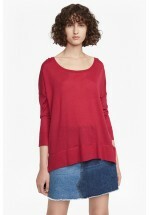 Crafted f..
Add a pop of pastel colour to your staple spring / summer wardrobe with the fine-knit Spring Lightwe.. 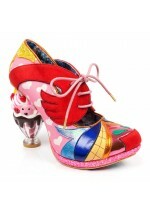 Leap across a dreamy rainbow and land straight into these dreamy wedge heeled ankle boots. Comes wit..
Frolic with the fairies and become a super cute pixie in these outstanding calf length conce..
Make an impact with these opulent and sumptuous high heeled ankle boots. 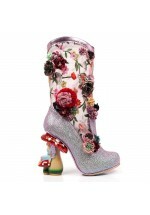 A swirling floral design ve..
Frolic through a hazy daisy field of wild flowers in these utterly gorgeous floral high heels. A bac.. 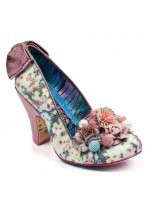 These cherry blossom patterned high heels are everything you need for an opulent night out at the op.. 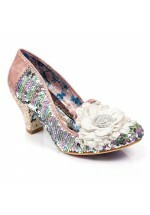 Calling all pastel sequin princesses, we have the mid heel for you. Get on down at the princ.. 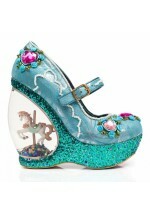 The perfect party shoe for your little angel this season. Featuring a floral tapestry effect fabric ..